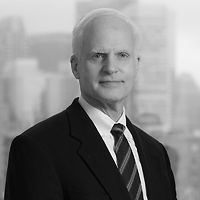 David C. Henderson, a partner in Nutter’s Litigation Department and a member of the firm’s Labor, Employment and Benefits practice group, analyzed the new Massachusetts pay equity law in Nutter Insights. David discussed what the new Pay Equity Act entails and when it will take effect, the implications for the state’s employers, why employers should pay attention now and what steps they should undertake, and notable changes being made. According to David, the two key concepts are “gender nondiscrimination in compensation” and “equal pay for comparable work.” He noted that the related employee rights will be enforceable by the employee or the Attorney General and sanctions for violation can be significant. Please click to view David’s complete Insights.